Did you ever had difficulties importing, exporting or migrating the reports from Configuration manager 2007 (SSRS ) to Configuration manager 2012 ? If so,how do you migrate reports to Configmgr 2012 ? To get the SSRS Reports from Configmgr 2007 to Configmgr 2012,you will have to download each report (.RDL) manually and upload it your Configmgr 2012 SSRS Folder. If you have bunch of reports ,what do you do ? Doing this task manually is tedious and involves lot of time. This blog post discuss about how to migrate reports ,download,upload your custom reports to Configmgr SSRS folder. During my Search ,I found a tool called ReportSync that does the following activities . Sync reports between two SSRS servers. Download RDL Files from SSRS to local PC. I use this tool oftenly while working with SSRS Reports since it gives me the flexibility to upload multiple reports to specific folder in SSRS. (Default via SSRS browser allows only one at a time). This tool contains 2 fields 1) Source SSRS Web service and 2 ) Destination SSRS Web service. As I said before,you can use this tool download SSRS Reports to local Drive,migrate reports between the SSRS Servers,upload the reports from Drive. 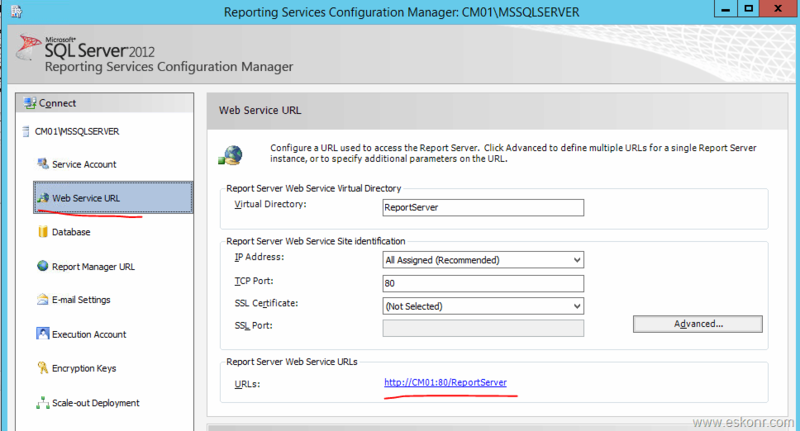 If you want to download the Reports (.RDL) files from your SSRS server (Configmgr 2007 or 2012 ),enter the source URL ,User hat has permissions to connect to SSRS,Password in Source URL Web Service and click on Load. 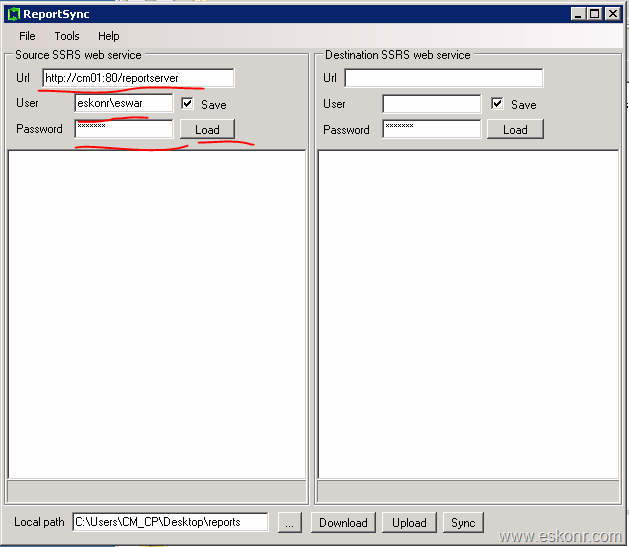 How to get the right SSRS URL that has been configured in your environment ? After you run the tool ,It takes few seconds or minute to load the reports from your SSRS Folder . Select the report that you want ,provide the local path to store these reports (.RDL files) and click on Download. Each category what you see in this tool will be created as Folder in yours local Path. You can also try to upload your customized reports to Destination server ,sync and do other functions with this tool. 2 Responses to "SCCM Configmgr How to Import Export Migrate upload reports to CM12 easy way using ReportSync Tool"
only administrator has permission to download the reports? or else user id and password for common users does work to extract reports. I believe you need to have access to SSRS Reports to download the reports. If you do not have read access to SSRS ,you cannot do further.